INDIANA, PA – The American Racer Cup presented by Sunoco Race Fuels is set for its eighth season of rewarding weekly racers in 2017. Thirteen facilities – spanning New York, New Jersey, Pennsylvania and Delaware – comprise the program, with $51,450 cash earmarked for Modified and Sportsman competitors in addition to thousands in tire giveaways and other product. The American Racer Cup program will be managed by BD Motorsports Media LLC in ’17, with support from American Racer and regional distributor Lias Tire Company of Indiana, Pa. Registration is now open for the new season on a recently launched website: www.theamericanracercup.com. At year-end, Modified competitors (top-15) will share in a $36,000 cash point fund. Rankings are determined by a driver’s 12 best finishes at a participating speedway, with a car count bonus issued at year end. The Modified point fund for 2017 is as follows: 1) $10,000; 2) $5,000; 3) $4,000; 4) $3,500; 5) $2,500; 6) $2,000; 7) $1,750; 8) $1,500; 9) $1,250; 10) $1,000; 11) $900; 12) $800; 13) $700; 14) $600; 15) $500. Bruce Insinger of Insinger Performance has posted another $5,700 in regional cash. Drivers in both the North and South regions will be eligible for the following point fund: 1) $1,000; 2) $750; 3) $500; 4) $350; 5) $250. Drivers’ best 12 finishes at their home tracks and bonus points from newly announced American Racer Cup Challenge events will determine the regional champions. American Racer Cup Challenge races will be select events on the Short Track Super Series Fueled By VP schedule offering 25 bonus points to the winner, back to 10 for last and five for those unable to qualify. 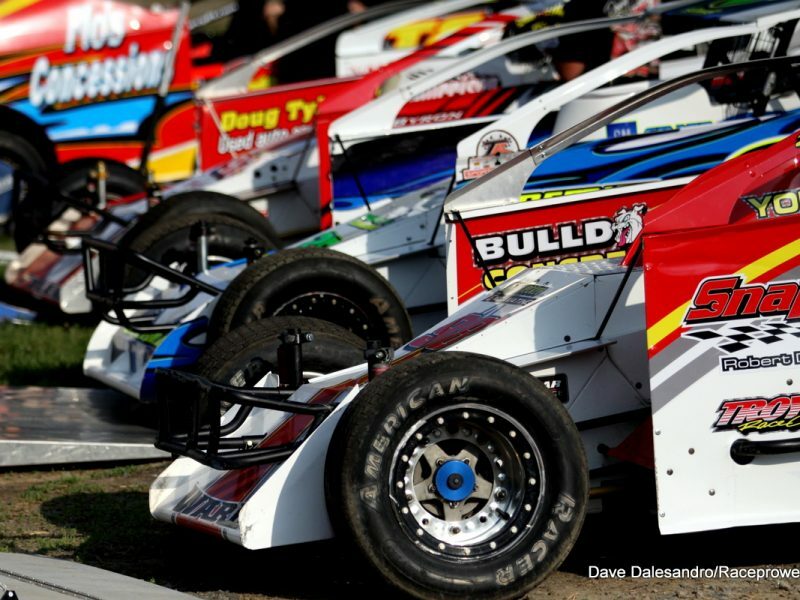 Modified American Racer Cup Challenge races selected for ’17 are, in the South Region, the ‘South Jersey Shootout’ at N.J.’s Bridgeport Speedway on April 23 and the ‘Diamond State 50’ at Delaware International Speedway May 25; in the North Region, the ‘Battle of the Bullring 5’ at N.Y.’s Accord Speedway July 3 and the ‘Hustlin the High Banks 53’ at Woodhull (N.Y.) Raceway August 22. 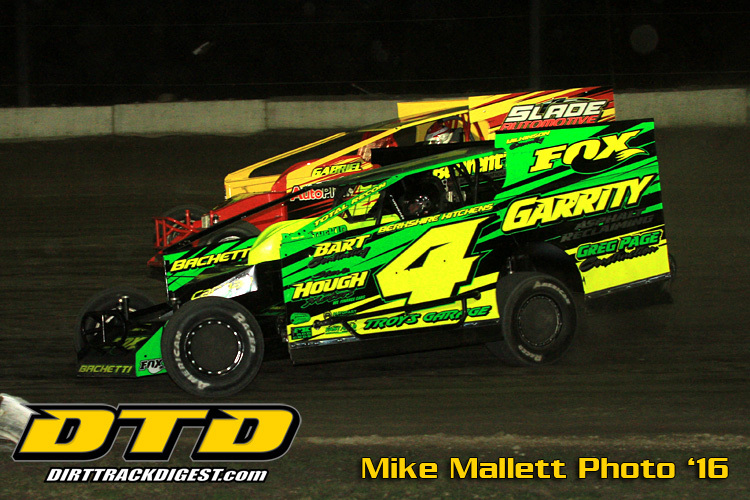 Like their Modified counterparts, the top-15 Sportsman will share in a cash point fund based on their 12 best home-track finishes and car count bonus. For 2017, the Sportsman point fund is 1) $1,500; 2) $1,000; 3) $750; 4) $600; 5) $500; 6) $450; 7) $400; 8) $350; 9) $300; 10) $250; 11) $200; 12) $150; 13) $100; 14) $100; 15) $100. A regional distribution courtesy of Insinger Performance is an added incentive for Sportsman teams. The following point fund will go to North and South competitors: 1) $500; 2) $400; 3) $300; 4) $200; 5) $100. American Racer Cup Challenge events are on the schedule for Sportsman racers, as well. In the North, events will be at I-88 Speedway in Afton, N.Y., June 21 (Crate) and Skyline Raceway in Blodgett Mills, N.Y., July 18 (Open). South events are planned for Delaware International May 25 (Crate) and Big Diamond Speedway in Minersville, Pa. June 6 (Open). Aside from cash, hundreds of American Racer tire certificates will be handed out over the course of the season. The first tire drawing of the season for both Modified and Sportsman is scheduled for Jan. 22 at the Motorsports 2017 Race Car & Trade Show in Oaks, Pa., for early entries. Participants do not need to be present to win. Complete ’17 American Racer Cup information can be found on the new website. INDIANA, PA – The American Racer Cup, an incentive program for racers at participating facilities across the Northeast, enters the 2017 season with new direction. Fred Woodward of Lias Tire, the Indiana, Pa.-based regional distributor of American Racer tires, has named Brett Deyo of BD Motorsports Media LLC to manage the American Racer Cup program for next season. The 2017 season will mark the eighth year of existence for the American Racer Cup. Woodward went on to thank Andrew Harpell, previous program manager, for his contributions to the program since its inception. Deyo, who organizes the touring dirt Modified Short Track Super Series which utilizes American Racer tires, is thankful for the opportunity. “The American Racer Cup does so much for racers at a very limited cost – $50 for Modifieds and $40 for Sportsman to join,” he said. “I think we can get even more racers understanding the benefits and taking part in the Cup. Information is key and we hope to be able to build hype around the program throughout the season for both fans and competitors. The American Racer Cup is a program designed for the weekly Modified and Sportsman racer at participating speedways across the Northeast. Nearly $50,000 in cash is distributed annually, in addition to thousands more in giveaway tires throughout the season and at year-end. Sponsorship support for the American Racer Cup in 2016 came via Sunoco Race Fuels/Insinger Performance and Jones Racing Products. Overall champions and each speedway point title winners are declared by the American Racer Cup in addition to regional North and South standings. Current participating venues are, sorted by state: Accord, Afton, Five Mile Point, Outlaw, Skyline (Sportsman), Thunder Mountain, Utica-Rome (Sportsman) and Woodhull (New York); Bridgeport and New Egypt (New Jersey); Big Diamond, Grandview and Penn Can (Pennsylvania); and Delaware International (Delaware). Last year, Sheffield, Mass., driver Andy Bachetti earned $10,000 as the overall American Racer Cup Modified champion off the strength of an outstanding season at I-88 Speedway in Afton, N.Y. Andrew Smith of Lockport, N.Y., took home the $1,500 top prize as the overall Sportsman champion racing weekly at Skyline Raceway Park in Blodgett Mills, N.Y.
An early registration drive for competitors will take place at Motorsports 2017 in January to be held at the Greater Philadelphia Expo Center in Oaks, Pa., where American Racer will be present with a display. An early tire drawing is slated to take place Motorsports weekend. Final details of the American Racer Cup format will also be released prior to Motorsports. Management is reviewing the details of the program structure and will release any changes in the coming weeks. To contact Brett Deyo (BD Motorsports Media LLC), call 845.728.2781 or e-mail bdmotorsportsmedia@gmail.com. A complete overhaul of the American Racer Cup website is forthcoming.